These versatile dish are made from a solid piece of bamboo split down the middle. They can be used as a plate or as a center of table dish. 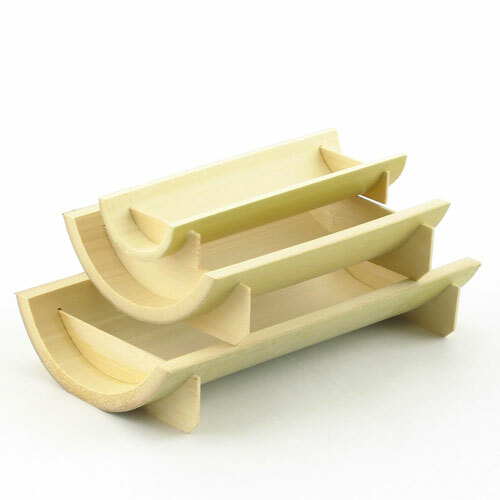 Great for Bite sized portions, Sushi, Butter dish etc. Available in 3 sizes.